When it comes to porches like this one, I really think it’s the concept of an outdoor room that appeals to us. Lucky for those of us who don’t own vintage farmhouses with gigantic porches, it’s still possible to create the impression of an outdoor room on a deck, patio, or lawn. I’ve searched the internet to find tutorials for five of the elements of this porch. 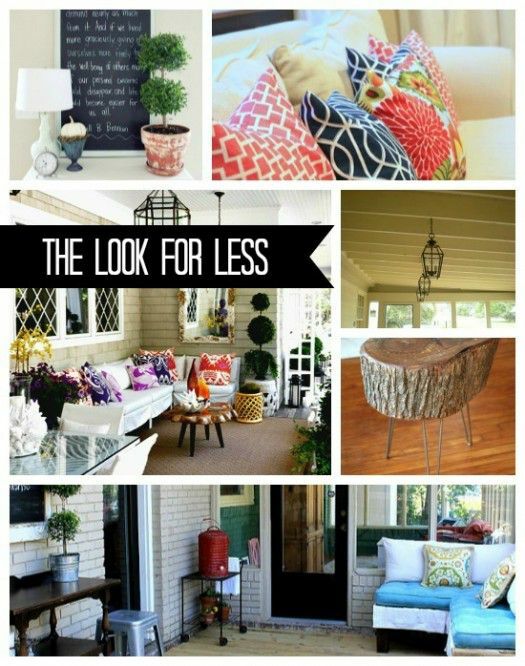 Now it’s up to you to decide how to use them in your outdoor decor.